Solstice Chronicles: MIA is a game about fighting monsters on Mars, so obviously, Hey Poor Player sent me to cover it. 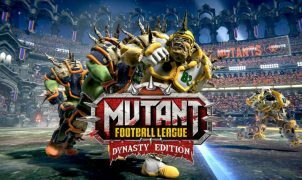 I previously got the chance to preview the first three levels, and now that it’s arrived on Steam as a finished product, it’s once again up to me to wade through the endless hordes of diseased creeps to discover if the game is worth your time and hard-earned money. In that preview, I praised the game’s emphasis on tactics and general presentation but had a few harsh words to say about the controls, balance, and storytelling. Much of the game has changed in four months, but my assessment remains pretty much the same. 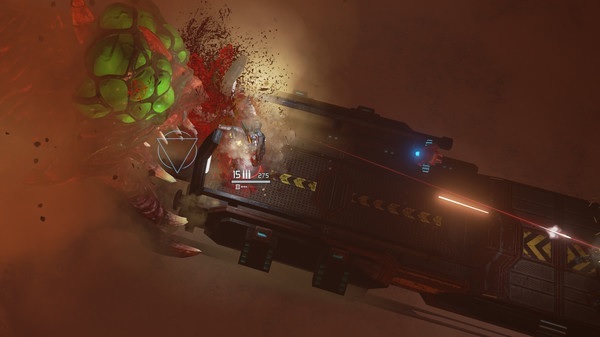 If you, like me, are a die-hard Alien Swarm fan looking for something to fill that void in your gaming life, then MIA will be a welcome breath of fresh air, especially since there’s so fewgames in the tactical top-down space to negatively compare it to. 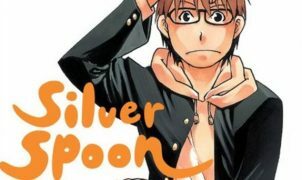 Even newcomers to the genre will probably find a lot to like. But if you’re expecting your next gaming obsession, well, prepare to be a little underwhelmed. 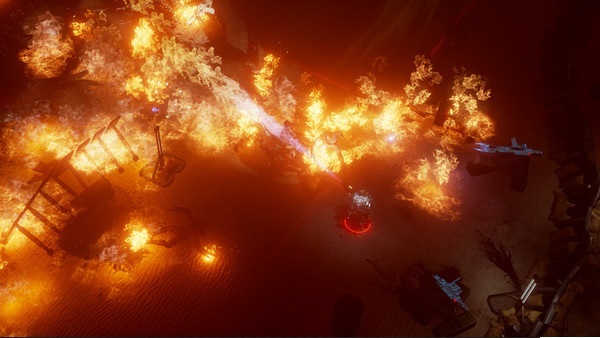 Any game that gives you a badass flamethrower can’t be all bad. 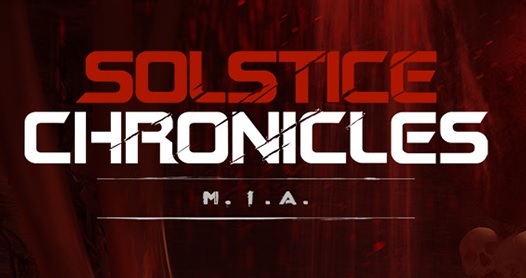 Solstice Chronicles: MIA is a sort-of-a-kind-of-a sequel to The Red Solstice, in that they take place in the same world and have a nearly identical graphical style but share almost no gameplay or story elements. The premise: a virus wiped out most of life on Earth, and when the last dregs of humanity fled to Mars it followed them, turning human beings into horrible (but enjoyably killable) monsters who long only to feed. The new game throws in a conflict between the Insurgents and the Corporation and a storm that’s tearing the few colony buildings apart, making Mars overall a pretty terrible place to be. 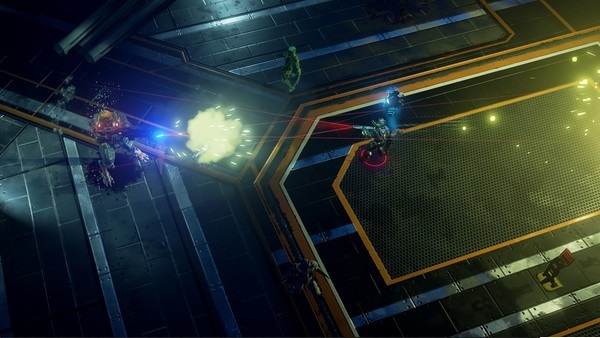 As a Corporate soldier (or group of soldiers) left behind after a particularly nasty monster attack, you’ll be forced to team up with Saffron, a heavily-modified and not-particularly-sane Insurgent drone in an attempt to survive. Survival really is the objective here, far above any story trappings about finding a cure or reuniting with the Corporation. One of the most unique and interesting things about MIA is that, unlike the Doom comparison I drew in my opening paragraph (and which the game itself references in one of the loading screen messages) you can’t kill all of the monsters. Creatures spawn infinitely, with a meter at the top showing you the density of monsters at any given moment. As a result, the game’s mostly about exploration and resource management – though the first few levels are so easy as to be downright dull, you’ll soon be panicking as you try to stretch out your meager health and ammunition to last you to the end of the level. If you spend your time trying to bring the Threat Level down, you might not have enough ammo to deal with something like the Behemoth later in the level. But if you just try to run past without wasting any ammo, you might get chewed up by thousands of little guys. Every decision in the game has a cost – not a Telltale-style “a character will remember this” cost, but a cost paid in blood when you get torn apart by endless waves of horrible beasties. One of the many awesome bosses I don’t want to spoil by describing in this review. The constant tug-of-war between keeping the monsters at bay and not running out of ammo is further complicated by your drone companion. Saffron comes with a number of abilities, all of which are incredibly powerful and all of which come with a cost that will make you think twice about using them. For example: you can create a giant energy dome that will keep you safe for several seconds and melt any monsters that get in its way while it’s setting up, but doing so will summon one of the Big Bads as soon as the shield runs out. Or your drone can bring you extra supplies – the first ability you get, and probably the one you’ll use the most – in exchange for raising the threat level. 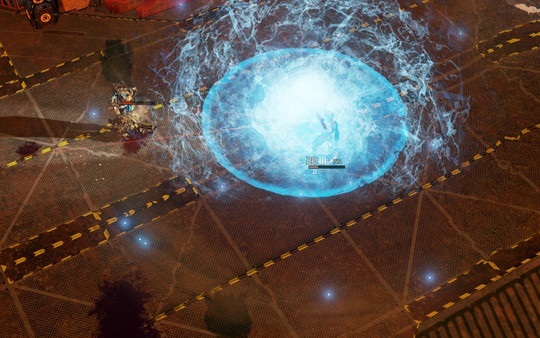 There’s also two new abilities in the full game that weren’t available in the demo: a giant bomb appropriately called the BOMB, and a Taunt ability, both of which come with similar costs but neither of which feels as useful as the simple feat of summoning much-needed ammo from the ether. As I said before, I adore the premise of a shooter that you can’t shoot your way through, and I found MIA’s campaign utterly engrossing for that reason. This is supposed to be a world that’s one step short of completely unlivable, and few horror games have committed so utterly to making the player feel helpless as this one. When you hear monsters growling in the dark, you’re not just scared because it’s a creepy situation, but because you know that those monsters are going to attack you soon, and there is absolutely nothing you can do to stop them from coming forever. Unfortunately, the game is constantly undermining its own immersion at every step. For all its bells and whistles, MIA is still a shooter, and shooters need to have good shooting. For one thing, there’s the story. If it were merely bad, it could be forgotten – discarded like the wrapper on a sandwich in favor of the good stuff. It’s at least polite enough to mostly only rear its head in cutscenes, all of which are skippable, which will make it a complete non-issue for many players. But I personally found it so bad as to be actually distracting. Dialogue that sounds like it was written by someone with an extremely loose grasp on the English language sets up story beats that are insultingly predictable, and it’s delivered by two of the worst voice actors I’ve come across since Potato Thriller, a game that was trying to be as terrible as possible for a “joke.” Saffron delivers a performance that makes one long for the evocative and poignant delivery of Peter Dinklage in Destiny, while the playable protagonist is being played either by someone who’s trying to do an accent and failing or who’s failing to cover up an actual accent – the dialect is so unplacable and it switches back and forth so randomly that I honestly couldn’t tell you which. I love MIA‘s world and premise, but after a few levels I grew to utterly despise the actual characters. The weakness of the core mechanics really shows in the game’s Survival mode. I’ve written before about how I normally love endless survival modes, but without the tactics or presentation that makes the campaign great, you’re left with the dull non-spectacle of shooting the same guys over and over and wrestling with the horrible cursor that seems to have a mind of its own and nothing but disdain for the whims of the player. I put this image here because it relates to what I say in the next paragraph. Maybe you should go read that and then come back! There’s moments where Solstice Chronicles: MIA feels like one of the best games of the year. Moments where you’re sitting at 10% health, on the edge of your energy shield, watching the monsters accumulate outside and knowing with a sinking feeling in your stomach that you’re about to be in for the fight of your life. Moments where you’re locked in combat with three enormous creatures belching slime and death, navigating them into a death trap and throwing the grenade that will finish them off. Moments where you’re playing with a friend, coordinating strategy and picking your loadouts like your life depends on it, because on some level, it does. Yes, these moments are often hampered by frustrating controls, weak storytelling, and the occasional technical issue (though I’m happy to say that most of the problems I experienced in the preview are gone.) But they’re thrilling, terrifying, and brilliant nonetheless, and that alone is enough reason for any fan of twin-stickers to pick this one up. Plus, I mean – look at it. Just look at it. Full disclosure: This review is based on a review copy of Solstice Chronicles: MIA given to HeyPoorPlayer by the publisher.